Ceiling fans are a great investment because they help you stay cool and keep the air in different rooms of your home circulating. This saves money on your energy bills because you don't need to use the air conditioner so often. 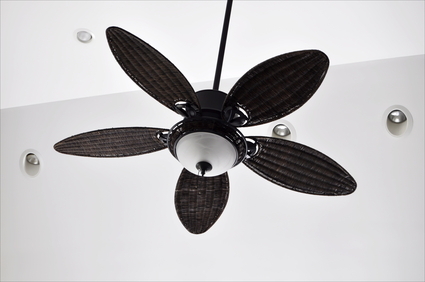 Choosing a good ceiling fan and installing it properly requires an electrician with the know-how to get the job done right. When you need new ceiling fans, G & H Electrical Contractors and Consultants, Inc. is here to help. Our Douglasville ceiling fan installation experts have the experience to ensure your ceiling fans are installed the right way and are operating as they should. So whether the motor on your current fan is making weird noises or perhaps it’s swinging wildly, you can count on our electricians to isolate a suitable replacement and have it installed quickly. We can also determine whether a ceiling fan that doesn’t work is the result of a greater electrical issue or if the problem can simply be fixed by replacing the ceiling fan with a newer model.